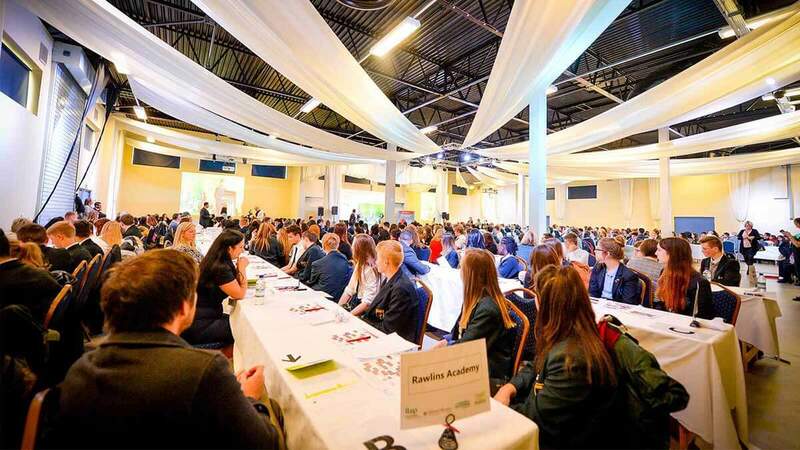 More than 300 students from 20 schools and colleges take part in the county’s largest career’s speed networking event. The event, run by the Leicester and Leicestershire Enterprise Partnership (LLEP), sees over 150 employers take part and gives the students an opportunity to ‘speed network’ in-order-to learn more about the local labour market and future job opportunities available to them. The event, which is part of Leicester Business Festival, works by giving small groups of students a 6 minute window to ask each employer a series of questions, before they move on to the next business representative. The event has been sponsored by Morningside Pharmaceuticals Ltd, which manufactures and supplies quality generic and branded medicines to UK hospitals and pharmacies, as well as essential supplies to aid agencies. Dr Nik Kotecha OBE, Morningside’s Chief Executive and LLEP Board member, said: “Nurturing the potential of the county’s future workforce is very important to us, which is why we have decided to support the event in a big way this year. “As a business we have grown rapidly and need a highly skilled, well trained and professional workforce to continue to be successful. We recently launched our own apprenticeships programme with Loughborough College and have discovered first-hand the benefits of employing and developing young people. Kevin Harris, LLEP Chair, said: “I really looking forward to this event as it is a fantastic way for young people to explore the array of career opportunities across the wide range of key sectors in Leicester and Leicestershire.